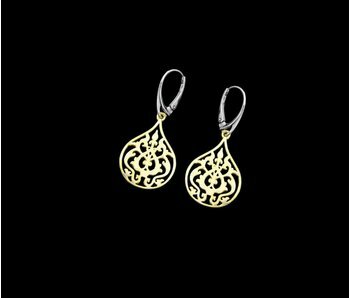 Two tone earrings with a gold plated French hook and a small clover shaped arabesque floral motif in silver. 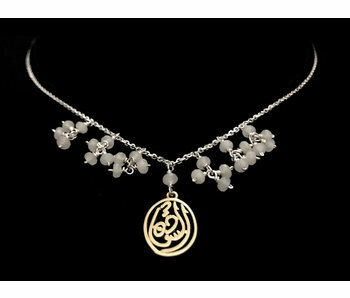 Silver chain necklace with gemstone dangles and a Salam word in Arabic calligraphy, silver gold plated. 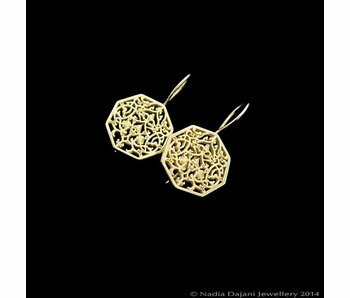 Silver and gold plated hoop earrings with an abstracted geometric pattern profile. 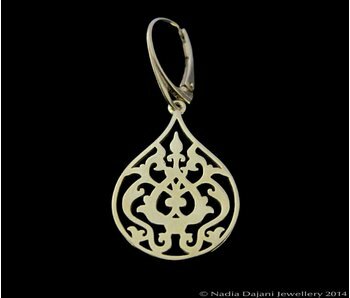 Geometry is a common element in Islamic Art and architecture. 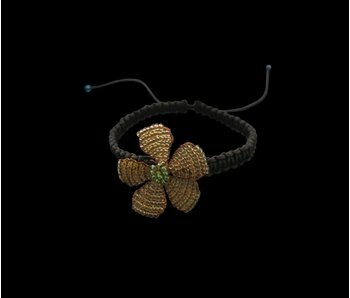 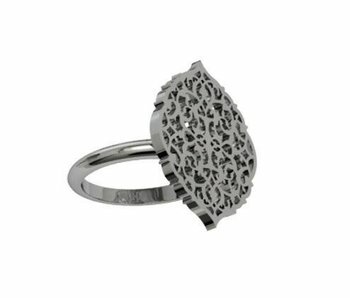 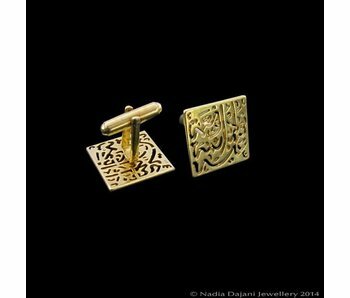 Silver plated with 3 microns of gold. 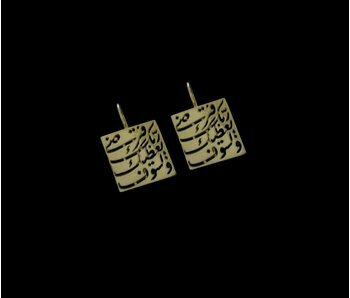 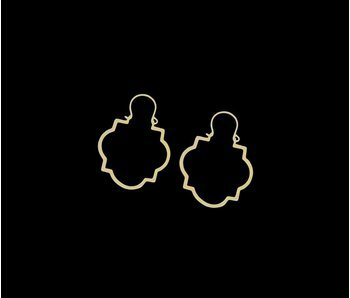 Silver gold plated earrings with Arabic calligraphy. 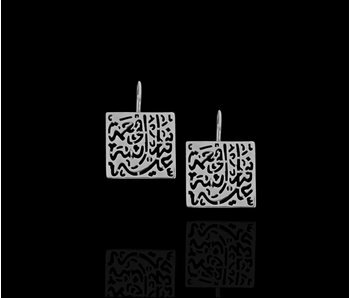 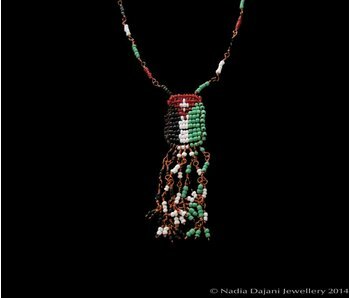 Gemstone necklace with a square silver pendant with the phrase of gratitude inscribed in Arabic calligraphy. 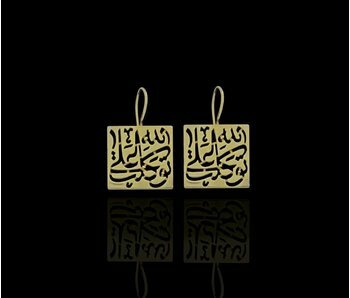 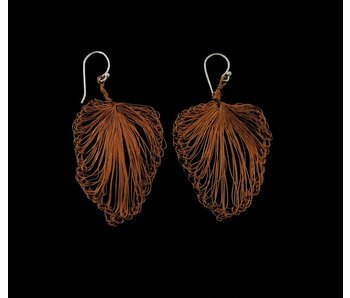 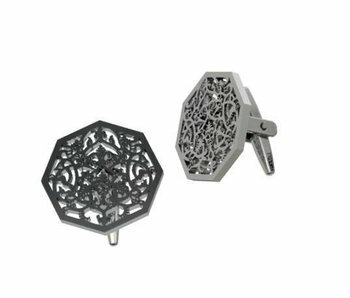 Octagon shaped silver gold plated earrings with an intricate floral arabesque within. 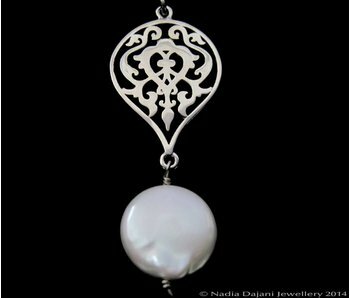 The earring hooks are fixed onto the main octagon. 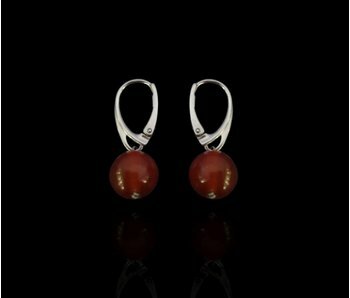 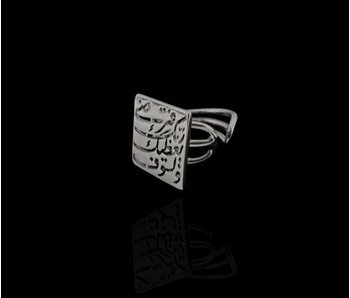 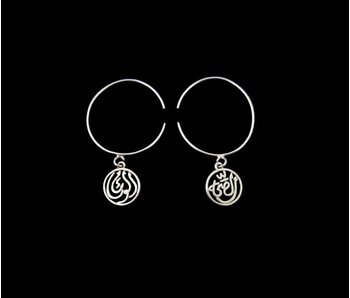 Round hoop earrings with 'Good Health' and 'Friendship' inscribed in Arabic calligraphy. 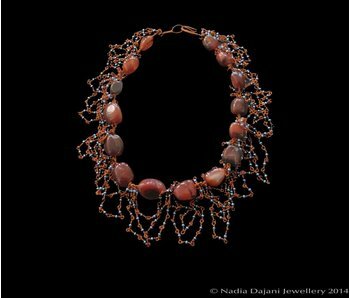 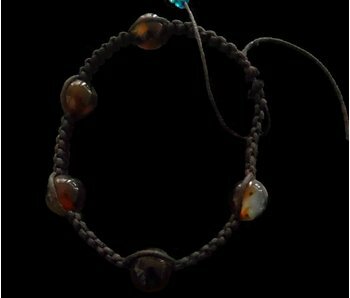 Collar necklace with agate stones joined with copper wire, and delicate chains made from tiny turquoise glass beads linked with copper wire. 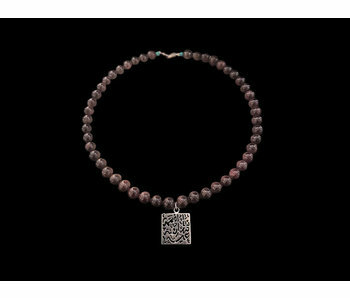 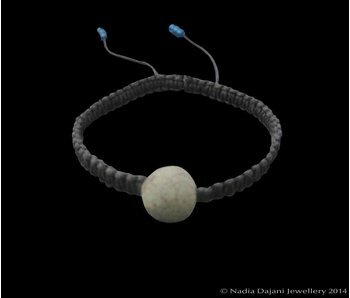 Pearl necklace with front closure and a geometric motif in silver.